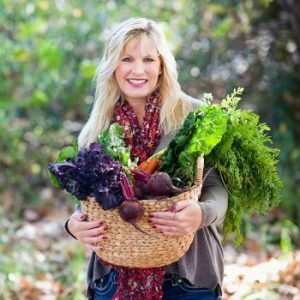 Today I have a very special guest… the first-ever guest poster on RecipeGirl.com: my good friend Cheryl at TidyMom.net Cheryl shares recipes, crafts, tutorials and amazing photography on her blog. She’s sharing her recipe for Red Velvet Pancakes with Sweet Cream Cheese Topping with us today. I guess she knows my weakness for red velvet and pancakes and cream cheese. These are simply perfect, and heart-shaped no less! Take it away Cheryl! I’m sort of in love with any thing Red Velvet. I mean it’s basically ‘red chocolate’ right? and who doesn’t love chocolate or the color red? HA! 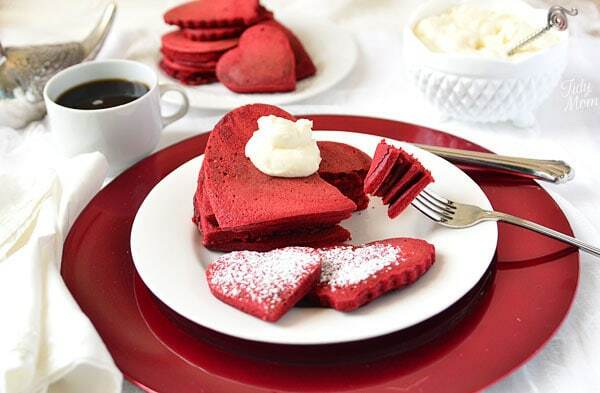 Well, if you ever needed a reason to have red velvet for breakfast, Valentines Day would be the perfect time, and Red Velvet Pancakes would be the answer! 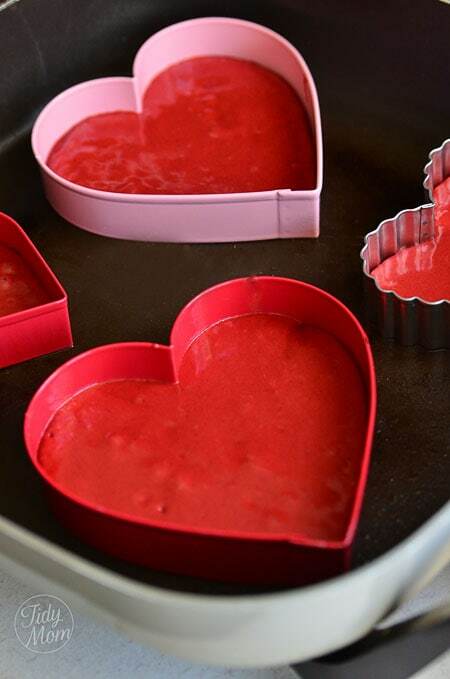 Use heart shaped cookie cutters to make them even sweeter! Whether you buy into the whole “Hallmarky” holiday or just want to celebrate the ones you love, why not show them how much you love them with a gift from the kitchen! Take a break, just one day, from all the chaos and start their day with a bang! I have to be honest here, these are more like eating dessert than breakfast if you top them with the cream cheese topping, but hey, it’s Valentines Day right? I declare it “sweets all day long” day! But if you prefer, the red velvet flavor is just as delicious with a pat of butter and maple syrup drizzled over them. The delicious, fluffy, red velvet cake aroma filled the entire kitchen, from the moment they hit the skillet! 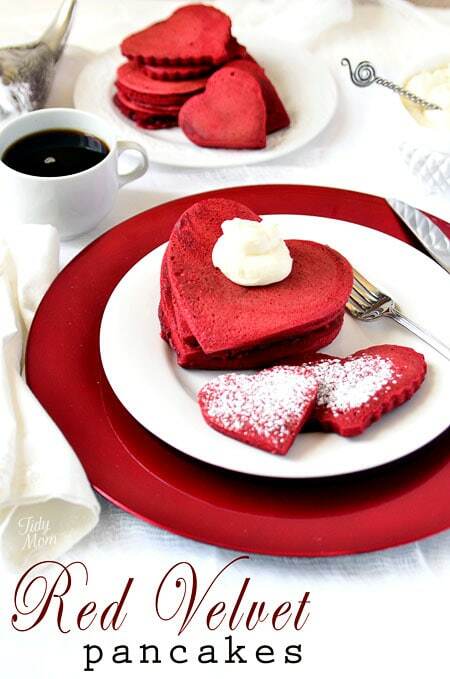 And yes….. they tasted exactly like red velvet cake, especially when the creamy frosting melted into the warm pancakes! My family loves anything red velvet, and I can’t help but give my family what they want! HA! uh, and any excuse to have ‘cake’ for breakfast! Maybe you’d like to do the same for your family? I hope that your day is filled with red and pink hearts, lots of hugs and kisses and sweet sweet chocolate! 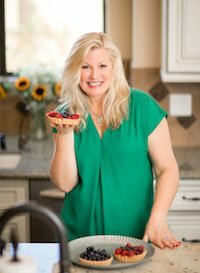 If you enjoyed this recipe, you may also enjoy my Red Velvet Crepes! 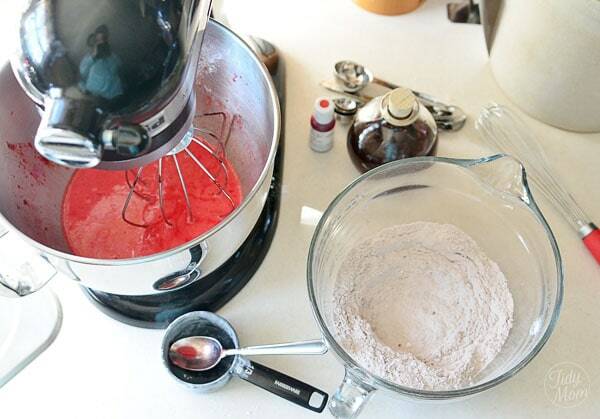 What’s your favorite red velvet recipe? Thanks so much for letting me be a “Recipe Girl” today!! I happen to be guest-posting on TidyMom’s blog today too, sharing how I organize my spice and baking supply cupboards. Check it out! 2. Make the pancakes: Mix all of the dry ingredients (flour through salt) together in a large bowl. Whisk thoroughly to combine until all lumps are gone. 3. In a separate bowl, thoroughly mix the buttermilk, eggs, vanilla, vinegar, and food coloring. Make a well in the center of the dry ingredients and add the buttermilk mixture. Stir until mostly combined. Add in the melted butter and fold gently to mix. 4. Pour batter in 1/4 cup measurements onto skillet and let cook until bubbles form on top, about 2-3 minutes. *See tips below for making heart-shaped pancakes. Flip and cook for 1 minute more. Serve with cream cheese topping. 5. 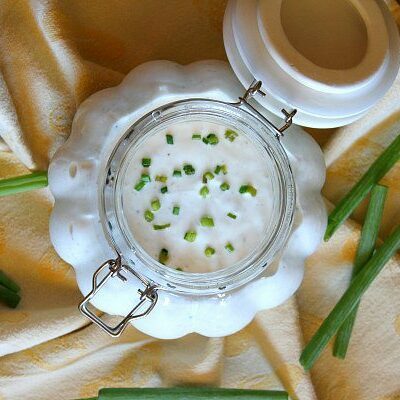 Prepare Cream Cheese Topping: In medium bowl, whip softened cream cheese and ricotta until smooth. Add remaining ingredients and mix smooth. Add a scoop between each pancake and on top of the Red Velvet Pancakes! 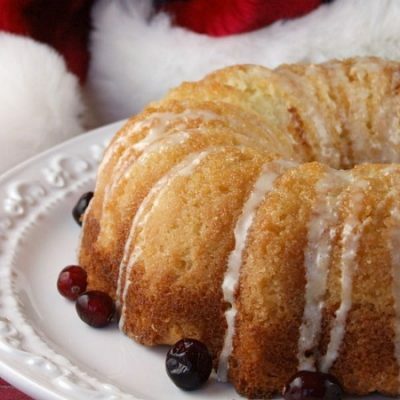 Garnish with powdered sugar and enjoy! *If you wish to make heart pancakes, use a heart shaped pancake mold or metal cookie cutter. Be sure to grease inside of mold and fill 1/2 way with pancake batter. Remove mold when ready to flip. Thank you so much for sharing this amazing recipe!! Two of my favorite things are red velvet cake and breakfast, so my boyfriend had thee idea to make me red velvet cake pancakes for Valentines day! This recipe is PERFECT! I cut the recipe in half to make less, we followed all of the instructions, and everything turned out great! We devoured almost all of them. I was in heaven! Some Notes: I used regular red food coloring and they turned out a nice red. I substituted rice vinegar for white vinegar ,because its a like a different form of white vinegar, and it smells very strong but there was no hint of sour taste at all..just sweet chocolate! The frosting is so good, try it:) and one last good idea, we used one of those clear squirt bottles (sometimes restaurants have red ones with ketchup in them.) and put our batter in that so we could control the batter to make our own heart shapes! I’m a 15 year old aspiring baker! I recently stumbled upon your site. Can I just say that this is my go-to for everything now?? I made these earlier today for the family, and my goodness!!! They look, smell, taste amazing!! Thanks so much! Keep it up!! I agree with Cookingcutie11. I had the exact same experience with her. It became too sour that it doesnt taste like red velvet at all. I tried to add more chocolate & sugar to make it less sour but it didnt help. Wish i didnt put the vinegar in. 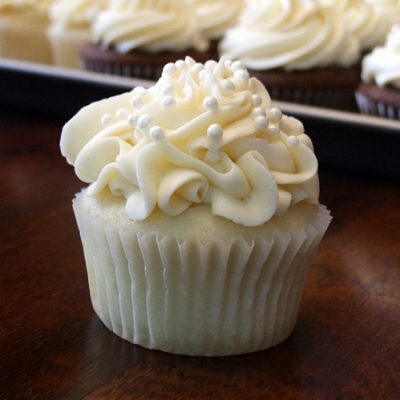 The texture & color looks good though, and the frosting is pretty good too. I found this recipe after Valentine’s Day…but, boy did this recipe come in handy for Father’s Day!! After a trip to the Grand Lux Cafe (Vegas), my husband was sold on red velvet pancakes. 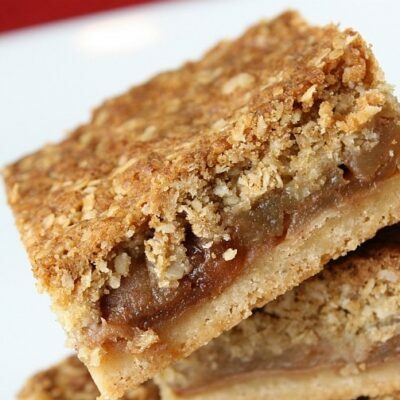 Found your recipe a few weeks before Father’s Day (this yr) and thought I’d give it a try…WOW!! Was pretty nervous but gave it my best & they came out PERFECT! My husband’s bday is this week. 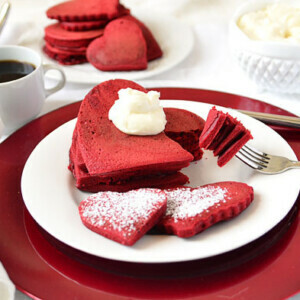 Asked him what he wants for his special day…he said, “Can you make those red velvet pancakes again?! ?” Thnx so much for posting the recipe!! It’s a keeper!! Will the pancakes turn out fine if I make the batter the night before and store it in the fridge so I can cook them in the morning? Can I make the topping the night before aswell? 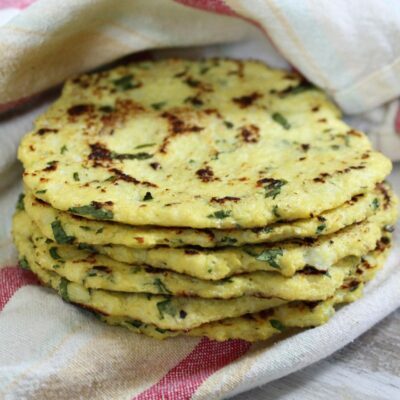 I usually get up pretty late and I don’t think I will have enough time in the morning to make and cook them in time for breakfast! I wouldn’t think it would be good to make the batter the night before. I’d get all of the ingredients ready so that they’re easy to throw together in the morning. I just made these and had to dump the batter! They were SO incredibly acidic tasting. I’m not sure how everyone else enjoyed them, but I wish I had left the vinegar out completely. The pancakes had no detectable chocolate flavor and weren’t sweet enough. The pancakes looked beautiful as I used Wilton no-taste red gel color and heart shaped cookie cutters greased with shortening and had no issues with them sticking, but the taste was AWFUL. I’ve browsed other recipes for red velvet pancakes and wish I’d chosen one of them-they don’t call for vinegar. I understand when baking red velvet cakes/cupcakes, the recipe calls for vinegar but it bakes out in the oven. Vinegar does not belong in this recipe. eek! Sorry they didn’t turn out for you. Tried this recipe today, cookie cutter and all. Used olive oil on the cookie cutter but it wasn’t quite enough. Pancakes were gone in no time! Cream cheese topping was fabulous-not too sweet. You don’t need to change the recipe if you are happy w/ 15 pancakes to serve 6 people. Didn’t you say you got 15 out of the recipe? I’m having a brunch with about 6 people so i would like to ave enough for all of them, I’ve never really been good at measuring out the ingredients for the appropriate amount i was wondering if you could help me out? It all depends on how many pancakes you want your guests to have… if you have 6 people, sounds like they’d each get two pancakes if you got 15 out of the recipe, right? Fantastic!!! I was a little skeptical after the last review, so I taste-tested the batter before putting them on the griddle (that’s my excuse for taste-testing anyway!). Tasted pretty good so I gave it a go. Were the pancakes a little brown? Well yeah….I mean, I am a little fearful of under-cooked pancakes, so I probably kept them on a little long. But it was only a little brown in the middle of the pancake. I also used the TBSP of food coloring. When I make red velvet cookies or cake, I use the whole ounce. Anyway, I didn’t have all the ingredients for the topping, plus I figured we were already having dessert for breakfast, so I just made some cream cheese icing and drizzled a tad on some of the pancakes. I dusted some powdered sugar on the others. AMAZING! They did taste a whole lot like a cookie or cake! My 4-year-old informed me we should have them every morning. 😉 Thanks for the recipe! So glad we got that figured out!! @ana the only thing I can think of is the same thing Lori said….did you use butter milk or powdered buttermilk? This batter was a little thick, so I increased the milk from the original recipe, but you could certainly add more if you’d like your batter thinner. But I had no problem pouring mine. That’s IT!! I used the powder and not the liquid form! Uggh, I’m a rookie as this kind of stuff. Thank you soooo much! I willl try it again. I’m really excited about it. They look SOOOO GOOD!! @Trieste – I’m sorry they didn’t turn out as good for you. Red food color can be hard to work with to get a nice good red (I should have mentioned that) Americolor Super Red gel color paste is the best to use for a good red, and you do have to use quite a bit – I didn’t measure but with the gel paste, you may need a good tablespoon of color for these pancakes. I had no trouble getting a pretty red. Ours tasted just like red velvet, which is not overwhelmingly chocolatey, but I used Ghirardelli Cocoa powder, so I’m not sure if the brand of cocoa powder could intensify the flavor. for the topping – we enjoyed it so much it inspired me to make red velvet crepes with the left over icing. Again, I’m really sorry they didn’t turn out for you. I tried to make these over the weekend and the mix was too dry. It was so dry that it would not allow me to mix and would only clump up. What did I do wrong? This looks so good I want to try it again! Did you add regular buttermilk or powdered buttermilk? It should have been a batter consistency. I just made these as an early Valentine’s gesture, and I have NEVER in my life been so disappointed with a recipe. They came out an awful pinkish brown color, reminiscent of intestines. They weren’t chocolatey at all. 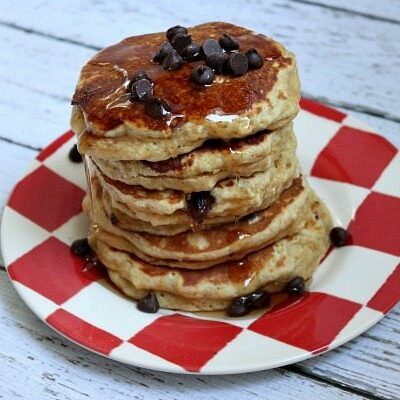 In fact, I’ve had ordinary buttermilk pancakes that were more flavorful. I hated the topping, though my boyfriend thought it was okay. The ugly color I could chalk up to a bad batch of food coloring, but the poor taste is just inexcusable. I’m an experienced baker/cook, and I followed the instructions exactly. Two stars. I would give one, but they do look beautiful in your pictures. That’s a bummer. Cheryl says these tasted just like red velvet cake! You can get the intense red color by using a red gel paste over the food coloring. These look amazing. Does anyone know how they transfer to waffles? I had red velvet funnel cake this summer at the fair & can definitely see these as the next step!